Regaining control of your weight is hard for most people. When trying to do that and fighting a chronic illness, it adds a whole new level of complexity. Food has long been my major weakness. If I want to celebrate – I like to have a fancy meal out somewhere. If I have a stressful day or feel down, a takeaway pizza or fish and chips. Low on energy? Reach for the chocolate. 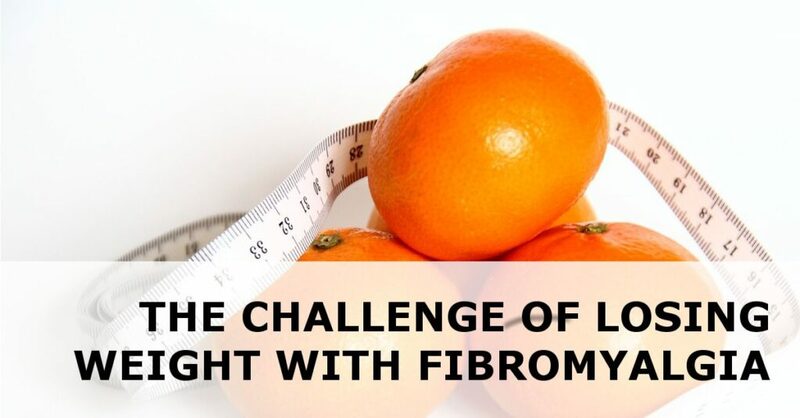 Battling with Fibromyalgia which can lead to feelings of inadequacy, or chronic fatigue making you feel drained of all energy, it almost becomes a battle with weight gain because the main source of energy for a human being is food. Articles like this one proclaiming, quite rightly that sleep is more important for humans than food, but anyone with Fibromyalgia or related conditions knows that the relationship with sleep is a complicated one. My sleep is rarely good, often induced by my medication. I wake tired and I eventually get to sleep, tired – though usually I’m more awake at midnight than I am at 8am when I need to get up for work. With this fractious relationship with sleep, food was the way I gained energy, comfort and respite. However, over time I gained weight – a lot of it. My other half gained weight too, because we tended to eat together – and eat the same foods. It wasn’t until she decided she wanted change, and for me to see an awful photo of me that I knew I had to lose weight. The first thing I had to work out was simply how much food am I consuming? Without monitoring or measuring, and with a Fibro Fog-induced poor memory I couldn’t always remember, I did not know the quantity I was eating. Enter MyFitnessPal Stage Left. The great thing about this app is that you can set your own stats (height, weight, gender etc). After entering your current weight and your desired weight, it then tells you how many calories you need to eat to achieve the weight loss you want over a safe timeline. I don’t have the energy today to go into more depth but simply knowing what you eat can massively help achieve weight loss. I learned I was eating far too many calories at lunch (a bought sandwich, coke and a sausage roll can be 1000 calories and my weight maintenance calories are about 1800). So my lunch was the first thing to be reduced. Knowing what calories you can eat in a day can help you plan treats – by not eating/snacking as much before the treat. When I was losing weight I still ate pizza, chocolate and drank beer. But not in excess and not consistently. Don’t think losing weight is about cutting out all bad things – especially if you have Fibromyalgia because food can be a great comfort. Seriously. You can get really tasty, even decadent meals by home cooking. My lunches are now mostly home made chicken salads – high in protein and low in calories. If we even put a pizza in our oven with some oven chips, it can come to just 800 calories. Half a takeaway pizza can be more than that. Now we still occasionally have takeaway, but we feel better if we home cook. You have to scout your supermarket before deciding to home cook. The meat we get is lean (even though it costs more), the cheese we get is low-fat, the bread is 50 calories per slice. It takes effort but it is totally worth while. It also makes measuring what you eat easier because most foods (at least here in the UK) have a calorie measure on the packaging. Make sure food controls you and not vice versa. Foods that fill you for longer – wholewheat pastas (if you’re not gluten-intolerant that is) or brown rice. There are plenty of resources out there as to foods that fill you for longer. Restrict so-called ’empty calories’ – these are foods which are higher-calorie but don’t fill you. Think sugars, cakes, chocolates, sweets, icecream. As I said – you should have treats, but within your calorie limits. But these calories don’t fill you for long, leaving you want more food. Keep your protein up – 300 calories of chicken are not equal to 300 calories of chocolate. Protein is good for your Fibromyalgia-riddled muscles. It is hard not to over-eat when you’re low on energy, but if you’re serious about controlling your weight, then you have to moderate. I check calorie values in restaurants – and very rarely have a 3-course meal with alcohol now. I eat until I feel I have eaten enough, then I stop, even if something’s left on my plate. I have one large meal a day, rather than 2. 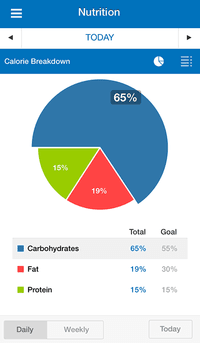 I still have a battle of overeating vs energy, but I have made huge step forward. Do you have any weight-loss tips especially if you have a chronic health condition? Leave them in the comments!